Introduction to the UltraScale Architecture – Review the UltraScale architecture, which includes enhanced CLB resources, DSP resources, etc. UltraScale Architecture CLB Resources – Examine the CLB resources, such as the LUT and the dedicated carry chain in the UltraScale architecture. UltraScale Architecture Clocking Resources – Use the Clocking Wizard to configure a clocking subsystem to provide various clock outputs and distribute them on the dedicated global clock networks. FPGA Design Migration – Migrate an existing 7 series design to the UltraScale architecture. Clocking Migration – Migrate a 7 series design to the UltraScale architecture with a focus on clocking resources. UltraScale Architecture Block RAM Memory Resources – Review the block RAM resources in the UltraScale architecture. UltraScale Architecture FIFO Memory Resources – Review the FIFO resources in the UltraScale architecture. UltraRam Memory – Use UltraRAM for a design requiring a larger memory size than block RAM. UltraScale Architecture DSP Resources – Review the DSP Resources in the UltraScale architecture. Design Migration Software Recommendations – List the Xilinx software recommendations for design migrations from 7 series to the UltraScale architecture. DDR3 MIG Design Migration – Migrate a 7 series MIG design to the UltraScale architecture. DDR4 MIG Design Creation – Create a DDR4 memory controller with the Memory Interface Generator (MIG) utility. UltraScale Architecture I/O Resources Overview – Review the I/O resources in the UltraScale architecture. UltraScale I/O Resources – Native Mode – Implement a high-performance, source-synchronous interface using I/O resources in Native mode for the UltraScale architecture. Design Migration Methodology – Review the migration methodology recommended by Xilinx for design migrations. 10G PCS/PMA and MAC Design Migration – Migrate a successfully implemented 7 series design containing the 10G Ethernet MAC and 10G PCS/PMA IP to an UltraScale FPGA. 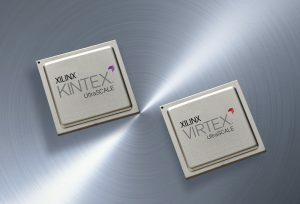 UltraScale Architecture Transceivers – Review the enhanced features of the transceivers in the UltraScale architecture. UltraScale FPGAs Transceivers Wizard – Use the Transceivers Wizard to build a design that uses a single serial transceiver and observe the created file structures. Introduction to the UltraScale+ Families – Identify the enhancements made to the UltraScale architecture in the UltraScale+ architecture families.